This sector supports one Certificate III apprenticeship and one certificate II traineeship. 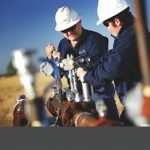 These qualifications cover cylinder operations, fuel delivery, gas supply operations as well as pipeline constructions and operations. This sector covers traineeships for Power Station Operators in Certificate II & Certificate III in thermal and renewable energy. 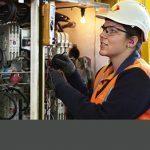 This sector covers Apprenticeships and Traineeships in Overhead Powerline work, Cable Jointing, Rail Traction and a number of other qualifications including Vegetation Control and Asset Inspection as well as other qualifications from Certificate II to Advanced Diploma. This sector covers Electrical, Electronics, Refrigeration & Air Conditioning, Instrumentation and a range of other related occupations from Certificate II to Advanced Diploma. Electrotechnology impacts on almost every aspect our lives. 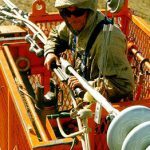 Electrotechnology is responsible for the installation, service, repair and maintenance of electrical and electronic equipment for industrial, commercial and residential purposes.Primarily, the electrotechnology industry includes the key trades of electrical, air-conditioning and refrigeration. It also comprises communications, computer data and communications cabling systems; as well as sustainable and renewable energy technologies. 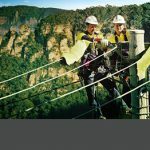 The electricity supply industry in Australia comprises a number of connected sectors, Transmission, Distribution & Rail (Transport)Transmission: electricity is transported from power stations through the high voltage transmission network. Voltage is then reduced to a lower voltage at substations.Distribution: electricity is distributed to homes and business via 'bulk supply' substationsRail: electricity is distributed to transport people and goods by various types of rail traction vehicles such as trains and trams. The main source of Australia's electricity generation is coal. Coal-fired plants also constitute a majority of generating capacity. 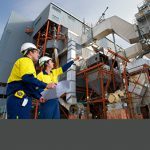 Now, and in the future an increasing number of gas-fired power stations and other renewable energy sources will be used to generate more power nationally, including hydro, wind and solar to ensure the industry has the capabilities to meet Australia's current and future energy requirements. Natural gas provides an affordable, clean energy solution that will assist Australia in the transition to a carbon-constrained environment. Gas transmission and distribution refers to the supply of natural gas via transmission and distribution pipelines and Liquid Petroleum Gas (LPG) via cylinders to domestic, commercial and industrial customers.